Summer is on the way and what better way to enjoy the beautiful weather than by hopping on a boat. 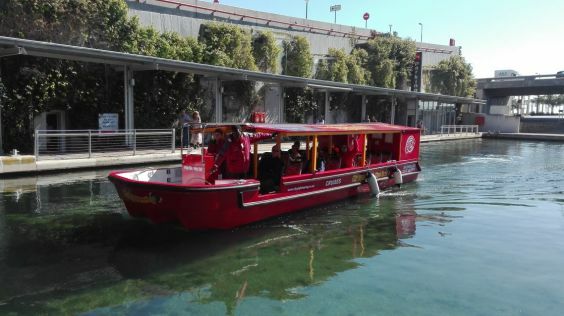 Ditch the traffic to the V&A Waterfront by taking advantage of a full-day pass with City Sightseeing’s Canal Cruise. The area around the V&A Waterfront is a hub of activity and development. Whether you’re visiting the Cape Town International Convention Centre (CTICC) or looking to enjoy a spa day at the One&Only Cape Town, there’s so much to see and do. City Sightseeing launched the Canal Cruise this year as an easy way to see the sights and travel between some of the Foreshore’s top attractions. There are four stops along the way and the cruise runs every 40 minutes, starting at 9am. The cruise begins at the CTICC. This landmark venue is home to the Cape Town International Jazz Festival and other annual events such as the popular Good Food & Wine Show. The centre is often buzzing, especially on event days, so be prepared for crowds. To get on your cruise, simply head to the canal and wait at the allocated point of embarkation. Remember, you can purchase your ticket on the boat and it entitles you to a full-day pass. The second stop on the canal cruise is the Harbour Bridge Hotel & Suites, with a restaurant offering great views over the water. 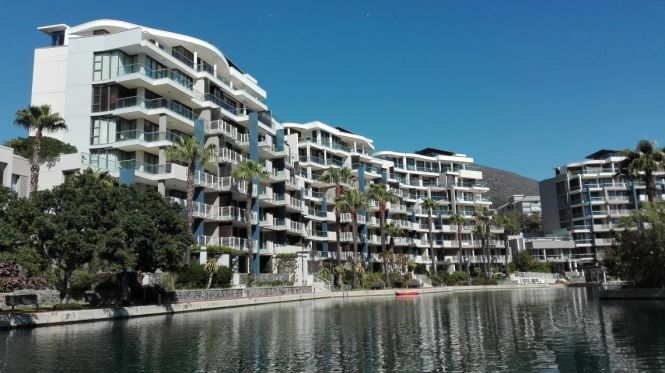 The next attraction is the City Lodge Hotel Victoria & Alfred Waterfront. Guests can hop off here, but people working near this stop can also use the cruise as an easy mode of transport to and from the V&A Waterfront. The last stop on the journey is the luxurious One&Only, an upmarket resort with incredible views, a lush spa offering exclusive treatments and Reuben’s, an acclaimed restaurant that pairs local flavours for a truly South African gastronomic experience. The best part? Once you get off at the final stop, the bustling V&A Waterfront is a quick walk away. Enjoy a full day out exploring this tourist hotspot, from rides on the Cape Wheel to enjoying delicious treats at the V&A Food Market. 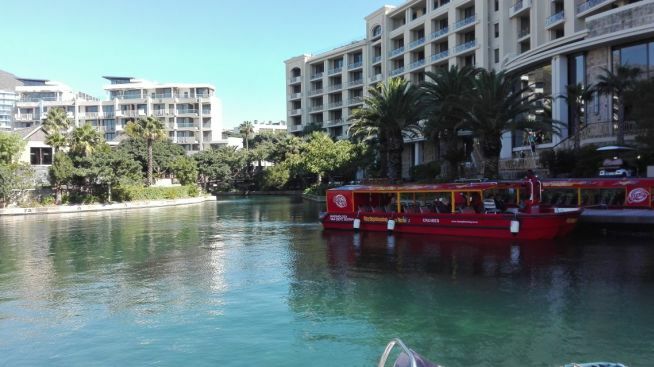 Once you’ve had your fun, skip the traffic and head home via the Canal Cruise. How do you get your ticket? Buy your ticket online, from stop 1 or stop 5, or from your driver when boarding the cruise. Note that the day pass entitles you to hopping on and hopping off the Canal Cruise for the whole day.